1In the past two decades, interest in collective memory studies has rapidly grown and has inspired debate among historians, anthropologists, and sociologists with regard to both theoretical issues and methodological tools.1 This emerging field stretches beyond the borders of the “West,” and scholars with different backgrounds are turning their attention to the analysis of non-Western contexts, where the interplay between collective memory and the making of modern nation-states in post-colonial settings opens the gate to this previously uncharted and stimulating research domain. 3In the introductory first chapter, the editor convincingly shows that in the Chinese context, the creation of places of memory first arose in response to the crisis of identity prompted by the collapse of the Qing Empire and the quest for a modern nation-state identity. Afterwards, in the post-socialist era, the essence of Chinese identity has been sought in the reconnection with common cultural roots and the rearrangement of history into the celebration of the advancement of Chinese civilisation. Thus, places of memory devoted to the “aesthetic history” embodied by the terracotta army (Chapter 2) or to “red tourism” (chapters 4 and 8) or to the remembrance of China’s “national wounds” (chapters 6 and 7) are all narratives that actively build and praise the national-ethnic unity of the People’s Republic of China (p. 116). Chapter 3 deals with the political struggle between the Democratic Progressive Party (DPP) and the Chinese Nationalist Party (KMT) for the naming of the Chiang Kai-shek Memorial Hall in Taipei. Chapter 5 traces how the last base of the Song loyalists’ resistance was turned into an identification landmark for political refugees in British Hong Kong. The focus of these two latter chapters is on places of contested collective memory and effectively completes the picture of the heterogeneous world of modern China. 4David J. Davies shows how the Terracotta Warrior Museum has been clothed with different social and political meanings from the time the site was excavated in 1974 until the present, reflecting the political and ideological changes of the country. In the post-1980s reform period, the awe-inspiring sight of the first emperor’s army offers the tourist the emotional experience of a timeless past and invites suspension of judgement over the brutalities of feudal rule and enjoyment of the aesthetic view of the enduring traces of the Chinese culture and civilisation. The author emphasises that despite the lack of historical evidence, practices and narratives of memory have powerfully promoted the linkage between the emperor and the army as a symbol of Chinese ethnic pride and national identity. 5Similarly, the chapter by Daniel Leese argues that the Mao Memorial Hall is a monument to Chinese patriotism and national-ethnic unity and only on a secondary level to its revolutionary tradition (p. 116). Despite Mao’s explicit declarations against his post mortem mummification and worship, the Memorial Hall was instrumentally built to secure Mao’s legacy in the delicate political passage from his death to the next generation of leaders, who feared for the vulnerability of the Party after the arrest of the Gang of Four. Meeting the expectations and the emotional participation of Chinese people from all over the country, the mausoleum is linked to the tradition of hero worship in communist China. The practice of worshipping individual leaders was officially prohibited by the CCP but tolerated and even encouraged as far as it was depersonalised and reoriented towards the worship of the Communist cause. In 1983, as a result of the active efforts of Deng Xiaoping to reduce the personality cult of Mao, the mausoleum has become a tribute to the entire first generation of Party leaders, thus relocating Mao to the role of a primus inter pares in the collective historical creation of new China. 6In Chapter 3, Marc Andre Matten creatively uses a metonymical approach, the case of the naming and renaming of the Chiang Kai-shek Memorial Hall in Taipei, to show how a contested place of memory embodies the political tensions and shifts that took place in Taiwan in the post-Chiang Kai-shek era and how the collective memory and identity discourses have been addressed since the collapse of the Kuomintang (KMT) hegemony. In sharp opposition to the KMT’s concern for securing their leader’s post mortem legacy, and thus defining Taiwan identity in terms of the legitimate heritage of Chinese civilisation, since the 1990s the DPP has been promoting a new localised sense of Taiwanese identity embodied by the nation-state, while eliminating the ideological symbols of the KMT monopoly. Following the DPP’s failed attempt to change the name of the Chiang Kai-shek Memorial Hall into the National Taiwan Democracy Memorial Hall, the author suggests that the interpretation of these events is the outcome of the “emotional politics” (p. 84) carried out by both the KMT and the DPP concerning Chiang Kai-shek, who still lacks an univocal place in the collective memory of Taiwan. 7The contribution by Hon Tze-ki focuses on the historical vicissitudes and shifting meanings of the Song Emperor’s Terrace, located near Kowloon Bay in Hong Kong. The author analyses how this place has been imbued with contradictory narratives and how the site reflects the complex history of Hong Kong as an immigrant city. Chen Botao, a late Qing historian, was the first to rediscover the site and consequently used a “system of signs” (p. 140) to build an analogy between the Song moral resistance to the Mongols and the Qing struggle against imminent revolution. At the time of the Cold War, the memory embodied by the Terrace was reshaped to fit the needs of the British colonial enterprise in affirming a pro-KMT discourse favourable to the Chinese immigrants fleeing the Communist mainland. From the current postcolonialist perspective, all of the existing historical and semi-historical accounts concerning the Terrace have been criticised because of their authorship by either immigrants or the British and require rewriting from a local point of view. 8James Flath retraces the narrative history of Humen, a small town in Guangdong where in 1839 the Qing official Lin Zexu destroyed a cargo of British opium, a symbolic action that triggered the first Opium War (1839-1842). Despite the major defeats inflicted by the “British barbarians” during the Opium Wars, earlier Chinese historians engaged in the construction of a myth of Qing victory (p. 175), while the Marxist interpretation claimed the event as a source of legitimacy for the establishment of the CCP and its role in countering foreign imperialist aggression. Major individual figures in the war, such as admiral Guan Tianpei and commissioner Lin Zexu, were also given prominence in film productions and museum exhibitions. Nowadays, the maintenance of the fortress ruins and the newly built Sea Battle Museum and Humen Bridge contribute to re-enacting the process of remembering and reinterpreting Humen as a site of resistance and a patriotic symbol of the “century of humiliation.” Nevertheless, in contemporary discourse, the emblematic defeat of Chinese isolationism that forced the country open to the outside world becomes an occasion to praise the 1980s economic reforms. 9Likewise, Haiyan Lee argues that the ruinscape of the Yuanmingyuan condenses a tension of meanings in its transition from imperial splendour to foreign violation and the ensuing decay to the post-socialist debate over its partial restoration. From the theoretical point of view, this contribution is grounded on the postmodern idea of heterotopia (originally introduced by Foucault): Yuanmingyuan is a place where different spaces are juxtaposed and visitors spatially and emotionally deal with the buildings’ ruins in their natural setting. At the same time, documentary and film productions together with literary works have developed an aesthetic of the ruins that provides fertile ground for the emotional reaction of the visitor and fosters cultural nationalism. The heterotopia of the ruinscape therefore harmonises the multifaceted complexity of past and contemporary China. 10Yan’an, not as a single site but an assemblage of scattered famous sites (p. 262) where the origins of the Chinese revolution merge with the ideal continuation of Chinese civilisation, is the topic of the chapter authored by Kirk A. Denton. Group tourism drives the visitors into new interactive forms of patriotic education that bridge the individual experience with shared memory of the revolution. Walking routes activate the constant circulation of multi-layered memories attached to Yan’an by means of singing revolution songs, telling stories, and taking photos. Traditional red tourism is currently reshaped by a commodification of the city directed by governmental actions and aiming to expand the revolutionary legacy of Yan’an. Conversely, in the face of changing economic and political scenarios in the PRC, avant-garde art, notably the recent “Long March Yan’an Project,” is adding new meaning and interpretation to the traditional sacredness of the place. 11This valuable work gives insight into the nascent field of collective memory in China and testifies to the fact that dialogue across disciplinary borders, i.e. history, anthropology, and area studies, is especially constructive when questions of identity are addressed. 12However, it should be noted that all the contributions in the book use the concept of collective memory in a rather unproblematic fashion by giving exclusive prominence to places of official memory promoted by the government. Conversely, countless places where alternative and plural discourses of collective memory are produced and preserved have been neglected. 13The result is a collection of case-sites of collective memory supported by the established authority of the state in order to enhance its own legacy and establish the political and ethnic basis of Chinese nationhood. In this way, the complex multivocality of the different social actors involved is often eluded, and their response to the official memory discourse is reduced to a passive role. 14The label “Chinese” calls for elucidation, since the authors indiscriminately use it as synonymous with “Han” and understood as a transnational ethnic category in the mainland, Hong Kong, and Taiwanese contexts, regardless of their respective diverse historical and political backgrounds. Further, it would have been appropriate to position and interpret the role of non-Han ethnic minorities in building places of memory embodying the Chinese nation. 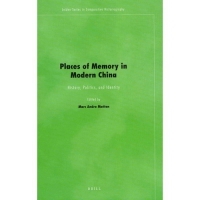 15On the whole, despite the need for a deeper and more problematic analysis of the concept of whose collective memory and for which purposes, the book is a vibrant contribution to understanding the connection between spatialised expressions of memory and the making of China’s modern identity. It opens a range of significant questions that definitely deserve to be addressed in future works. 1 A selection of major past works and contemporary trends in the study of collective memory can be found in Jeffrey K. Olick, Vered Vinitzky-Seroussi, Daniel Levy (eds), The Collective Memory Reader, Oxford, Oxford University Press, 2011. 2 Pierre Nora, “Between Memory and History: Les Lieux de Mémoire,” Representations, No. 26, Special issue: Memory and Counter-Memory (Spring 1989), pp. 7-24. Valentina Punzi, « Marc Andre Matten (ed. ), Places of Memory in Modern China: History, Politics, and Identity », China Perspectives, 2013/3 | 2013, 98-99. Valentina Punzi is a PhD candidate at L’Orientale University of Naples, Italy, and Minzu University, Beijing (valentina.punzi@gmail.com). Ithaca and London, Cornell University Press, 2013, 344 pp.